Crystal Jade’s known for churning out solid, mass-market Shanghainese cuisine. So when we heard about the group’s newest Chiu Chow venture, we flitted right over to see how the food would stack up. 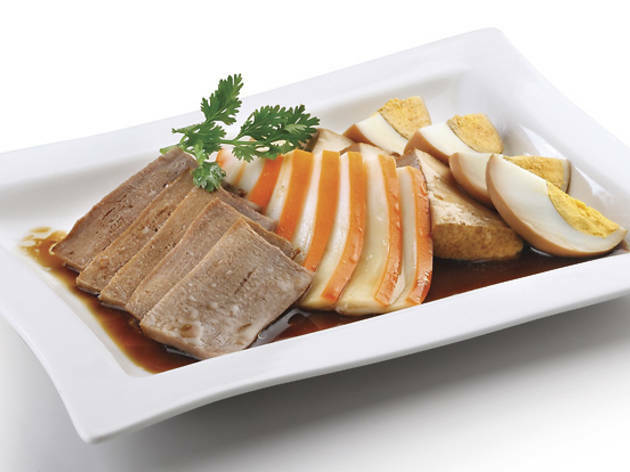 Soy-braised items are always a good indication of where a Chiu Chow restaurant stands and here, slivers of sliced goose are tender and gamey with a thin film of fat separating the skin from the meat. You can order this solo but it’s best to go for a trio platter (from $108) with options such as crunchy goose intestines and marinated hard-boiled egg. Traditional rice soup congee is also done well. Order the one loaded with baby oysters, minced pork and zingy ginger ($42). This is brothy, carby comfort in a bowl. 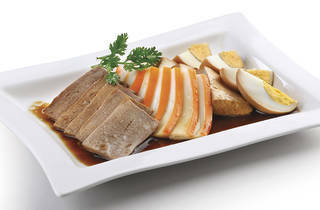 Given that Crystal Jade comes from Singapore, its rendition of Teochew-style bak kut teh ($68) is expectedly delicious. You get two strips of meltingly tender pork ribs floating in an intensely spicy broth spiked with pepper and garlic. It packs formidable heat, which is why you might be tempted to chase it with a chilled whole crab. On the night of our visit, the steamed crustacean arrives with plenty of roe in its shell and succulent, sweet flesh hidden in its hind legs. It’s disappointing then when we crack open the claw to find overcooked meat that’s dry and still clinging onto the carapace. It’s this dish and the oil-slicked yet bland ‘Chiu Chow-style’ stir-fry (celery, bell peppers and squid, $68) that brings the meal down a notch. Shop T4, 3/F, Kornhill Plaza, 1 Kornhill Rd, Quarry Bay, 2554 6555. Daily 11am-11pm. Dinner for two: around $500.